I am happy share with your the news about a new article that I have published together with my colleague Rune Storli. 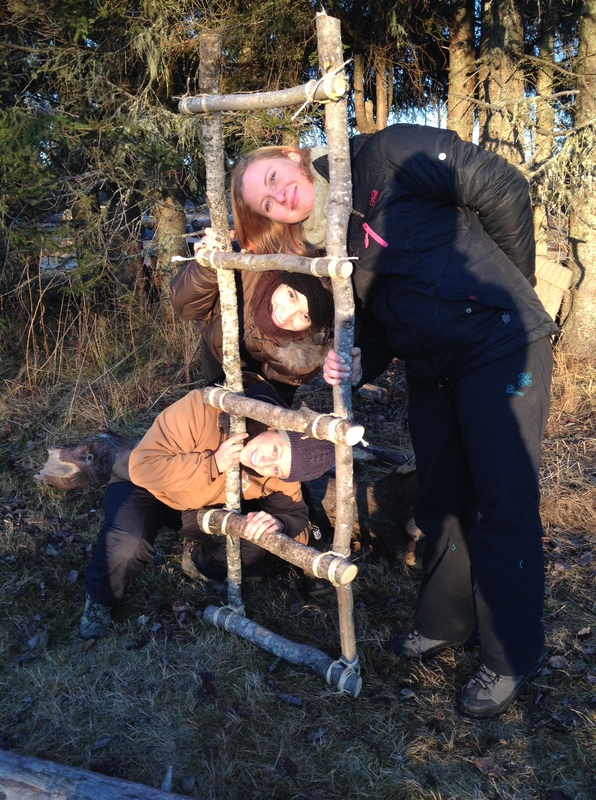 We have written about how Norwegian preschool teachers perceive children’s rough-and-tumble play in both indoor and outdoor environments. This paper explores teacher-reported prevalence of rough-and-tumble play (R&T) in preschool and investigates how their restriction to such play varies in different play environments (indoor and outdoor). An electronic questionnaire exploring preschool teachers’ beliefs and practices regarding children’s dramatic play themes was conducted by 138 female Norwegian preschool teachers. The results show that the teacher-reported prevalence of nurture/care and house/family types of dramatic play is higher among girls than among boys, while superhero play, pretend fighting, chase games and protect/rescue play is more prevalent among boys than girls. The results also show that play-fighting and chase games are the dramatic play types most restricted by the preschool teachers, and that R&T play is significantly less restricted in outdoor environments compared to indoors. The results are discussed within a Norwegian early childhood education and care (ECEC) context and implications for ECEC practice are suggested. Today I will share a brief magazine article in the American Scouting Magazine that comments on my research (they have interviewed me). I hope the scouting movement will still be able to offer risky play for children for many, many years! Have a nice and playful day! I want to call your attention to a recently published collection of papers that I have been part of writing. 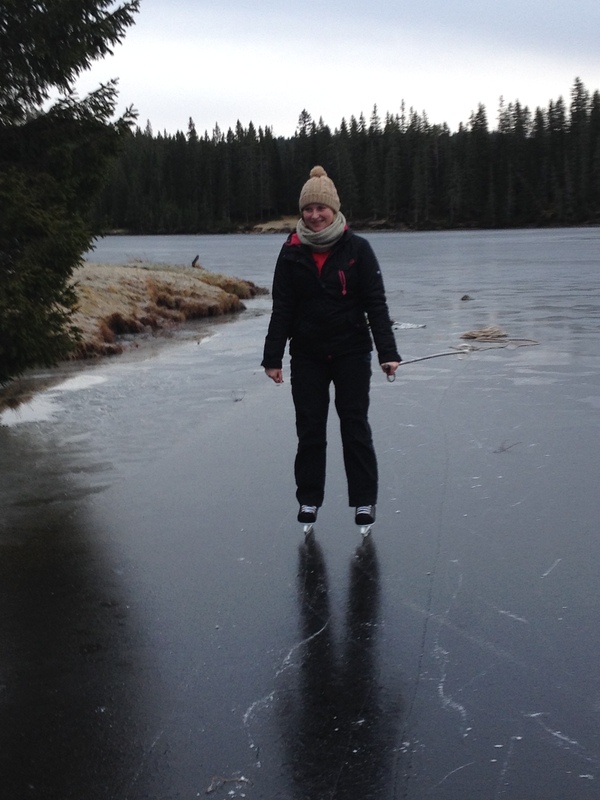 I was lucky to be invited to a symposium about risky play and children’s development that was held prior to the November 2013 Canadian Injury Prevention and Safety Promotion Conference in Montreal. As a result of this seminar the participants decided to write a paper accompanied by several short papers and see of we had any luck being published in an injury prevention academic journal. I am happy to share the final published paper with you all. I hope you find the content both inspiring and provoking! Make sure to click on the link “Supplementary data” on the right side of the web-page to access the short papers as well! Day 1: Outdoor life – we first watched the price winning film Play Again about how today’s children are about to loose their close contact and ownership to nature, and then we discussed its content in the context of different cultures and traditions (Norwegian and the different countries from which the students come from). Then we prepared lunch over open fire outdoors and had further discussions. The last part of the day we taught the students how to build a nature playground with simple materials such as sisal ropes and branches. Day 2: Risky play – we first watched the very thought provoking film The Lost Adventure of Childhood, and then discussed the pros and cons of children’s free play in general and risky play particularly, linking it to cultural differences and recent changes in the western society. 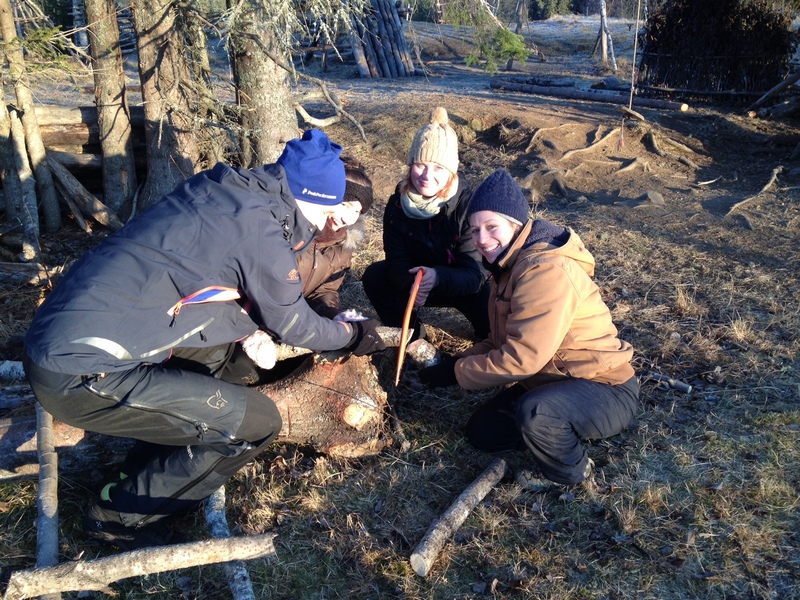 Then the students all by themselves made a fire outdoors and prepared lunch. 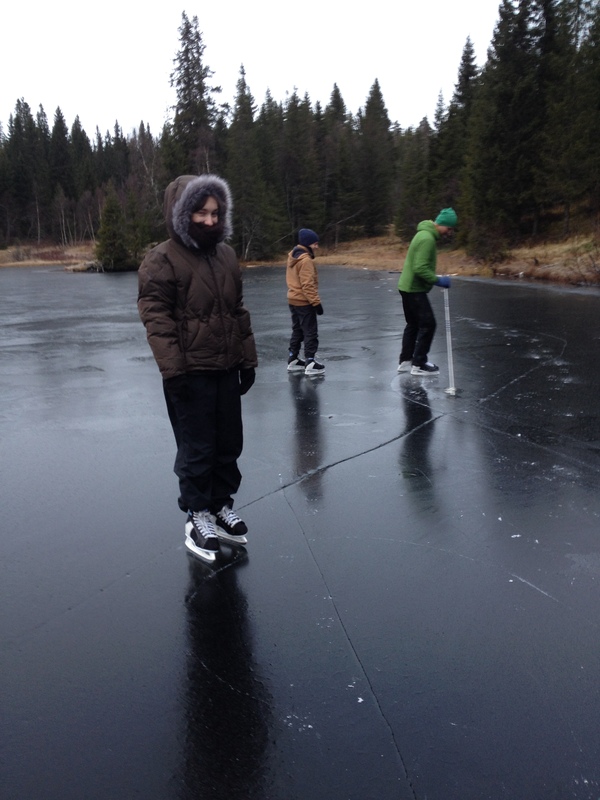 It was a cold day, and since we brought skates for everyone (from the storage at QMUC), we tested the somewhat risky ice at the lake Store Leirsjø (we had ropes and ski poles as safety). Great day! Welcome to all international students out there who would like to join us! In august I published a new book called “Vilt og farlig. Om barn og unges bevegelseslek” (English: Wild and dangerous. About children’s and youth’s physical active play”). The book was edited by me and Jens Ole Jensen from VIA University College in Aarhus, Denmark. Unfortunately for all English readers the book is only in Norwegian/Danish. The book is an anthology discussing children’s play that is risky, noisy and chaotic – and how this kind of play fascinates children and can be beneficial for their social, psychological and motor development. The chapters in the book present several examples, such as play in wild nature environments, rough and tumble play and play fighting, trampoline play, circus activities, parkour etc., and also dicuss how teaching practice can support this kinds of play without compromising safety. Several experts within the field have contributed with chapterts in this book.